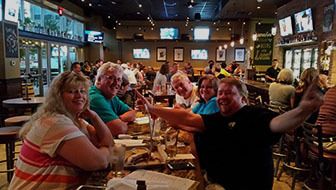 It was our second rendition of Sports Trivia at World of Beer – Fort Worth and man was it fun… if not controversial. But it’s sports, and controversy will happen. Just remember, PubGuys are always right! Wallace did well during his first night and you will get to abuse him again.